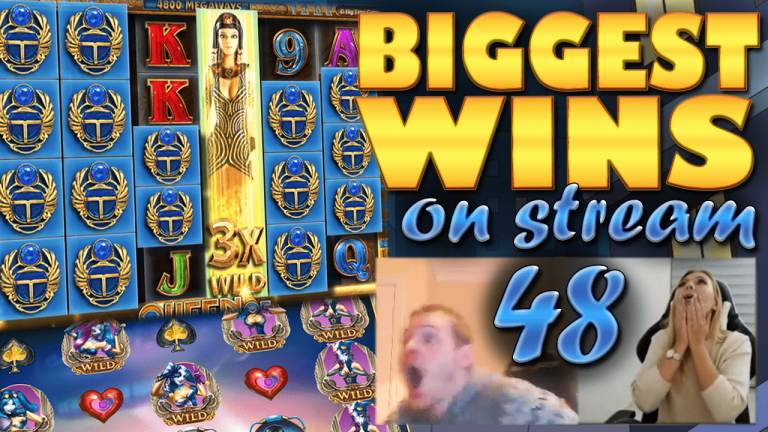 This Tuesday's Casino Streamers Big Wins – Week 48 will leave you in shock. 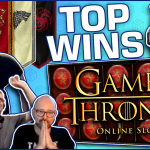 Apparently Christmas has come early for slot streamers as they all had epic wins last week. Therefore it was extremely difficult to pick the best of them. However after a rigorous selection process we give you the biggest slot wins on stream from the 27 of November until the 3rd of December 2017. As always, we have the compilation video, along with the full uncut version of every single win. Moreover a small review for each particular big slot win and the reaction of the casino streamers. Finally, if you want to try any of these slot machines, you can play them, for real money, on any online casino on our trusted casino list. 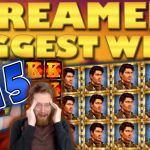 Let’s start Casino Streamers Biggest Wins – Week 48 with the best looking slot streamer out there. Hence K_Blackwood and her incredible win on the Vampires video slot. So far the Merkur games have proven to be some of the most volatile online slot machines, giving nothing or everything. Luckily for K, her bonus on a €1 bet gave her a massive €1157 total win. It was all thanks to a wild line resulting from the game’s special feature. If you want to try this casino slot, you will find it at Rizk casino. The new Play’N Go slot Reactoonz has takes the casino community by storm. Almost every slot player loves the game and after David Labowsky’s win it is easy to see why. The slot streamer was playing €3 bets on Highroller casino when he released gargatoon. As a result the special wild symbol helped give a spectacular €1977 win. Finally according to David the demolition feature is best before gargatoon, and his theory is probably very true. The second slot streamer to unleash gargatoon last week was LetsGiveItASpin. After months of struggling in this game and ripping every session it was finally redemption time. 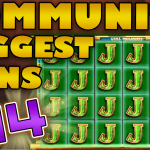 Getting the max amount of premium symbols to account for Kim’s biggest win ever in Reactoonz. Moreover thanks to the big €5 bet, the result was an epic €3972 win it total. Finally most Play’N Go powered online casinos have this slot, and that includes Dunder casino. 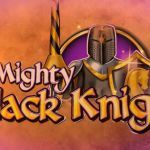 Another great slot win from Rex last week, this time on the Knight’s Life casino game. The slot streamer was playing on a €2.5 bet at Casumo when he triggered the free spins. The second Mekrur slot from our list and this one can give insane wins, especially if you manage to get a re-trigger. Indeed that is exactly what Rex did, getting a total of 20 spins and an enormous €1672 total win. 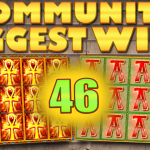 We will end Casino Streamers Biggest Wins – Week 48 with two colossal wins on two different Big Time Gaming slots. To that end we begin with Slotspinner and his bonus on Danger High Voltage. The casino streamer was playing €3 bets when he got the three scatters. In addition going with the gates of hell bonus feature was the right choice as the wilds kept coming and coming. After a crazy re-trigger and 11 sticky wilds the total win was a super massive €3642. Play this slot game on Thrills casino and let us know if you get a better win. Most of you might have already guessed which big win we have left for last. It is of course Nick’s insane hit on the Queen of Riches slot. The casino streamer was playing £4 bets and things were not looking good. Nick was contemplating a re-bullet when everything changed. Out of nowhere came a monstrous hit, from a spin which did not look like it had much potential. Yet no one could imagine that the total win would be a super mega win of £10368. What followed was screams of joy from Nick and the twitch chat exploding is amazement, congratulating the slot streamer. Finally Queen of Riches is probably the slot machine with the highest winning potential from all casino games. Thus you can head to Winning Room casino if you want give it a try.